Every human being loves praise. Tell me that I look good in my new outfit today and I will be over the moon. It really can be a confidence builder. But if no one notices that I have a great new outfit, I begin to question if the outfit is all that great. Praise is very important when dealing with young children, especially young eye patchers. These little tykes are in need of some big time love while patching. Try to really exaggerate those compliments, "I LOVE YOUR EYE PATCH" , "YOU LOOK SO FANCY!" "I BET THAT EYE PATCH GIVES YOU SUPER POWERS!". 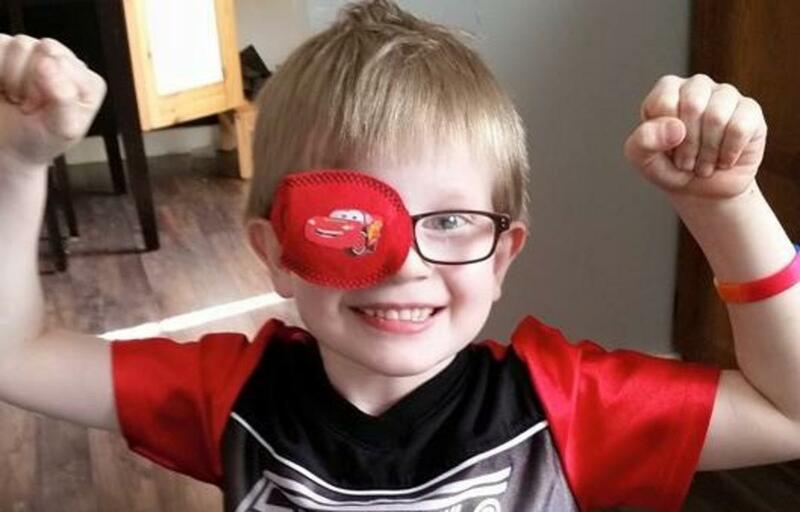 Your child will be beaming from all the positive attention and rewarding the good behavior will help reinforce their choice to wear their eye patch without fussing. Remind family members and friends to take time to give the eye patcher a boost during the child's eye patch time with a big inflated compliment. On the other hand, bad behavior like taking the eye patch off, or fighting when told to put it on, should be met with an under-reaction. Be aloof and let them know with a calm voice that they need to put it back on. Try saying something like "oops your eye patch is off, let's get that back on." Controlling your emotions and being matter of fact will help deflate the bad behavior. In most situations, your child will mirror your emotions. If you are upset dealing with the patching therapy, they will be too. Do your best to inflate the good emotions and behavior, and remember it is just as important to deflate the frustrations of both you and your child.